Fun fact about me, I’ve lived in 3 states. Another fun fact is that my mom is one of eleven children and I have 25 first cousins (if I’m counting correctly), so I have friends and family scattered throughout the country. I love it when they reach out to me for organizing advice. As much as I’d love to travel to them to offer some hands-on help, I can’t be in multiple places at once, which is why I’m so excited to tell you about my DIY organizing project! My sweet friend, Tamara, has also moved around quite a bit. We met about 13 years ago when we used to work together. We’ve kept in touch throughout the years, including her moving to at least 3 different states as her family grew. Flash forward to the present day, where she lives in Texas with her family of 7. One day I posted on social media, asking my followers what areas had them “stuck.” She responded that her pantry was a challenge and that she wished I could go to Texas to help. 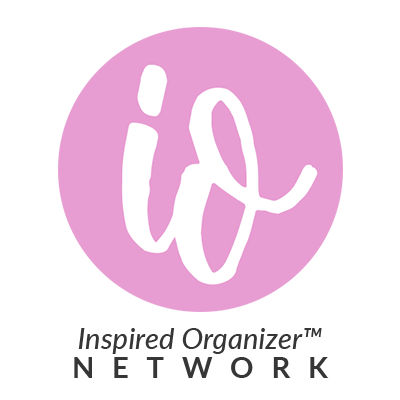 Though traveling to Texas wasn’t a possibility this time, I realized that it was the perfect opportunity to try my hand at DIY or Virtual Organizing. Often, you’ll see home organizers offer DIY and Virtual Organizing as separate services. In this case, it was a combination of both methods. We were able to do a virtual consultation via FaceTime, where she showed me around her pantry and we discussed the functional needs of her family, as well as her personal style preferences. The DIY part is that she did the work herself using the plan I provided. She graciously sent many photos from all angles and we had many texts and calls back and forth. I developed the organization plan, found the storage/organization products online, created a wish list for her on Amazon (noting what quantity of each item to purchase), then she purchased them & voila! You have to see this photo of the Amazon delivery at her doorstep. I sent her a detailed plan of where everything should go. Her husband had some assigned pre-work to hang a spice rack. With his help wrangling the little ones, she spent a Saturday overhauling the pantry. So thanks to phone calls, texts and FaceTime, the 1200 miles between us did not matter and now this happy family has an organized, pretty and (most importantly) functional pantry. Ready to tackle your pantry? If you want to do-it-yourself, see the links below. If you’d rather just have it done for you, let me know.